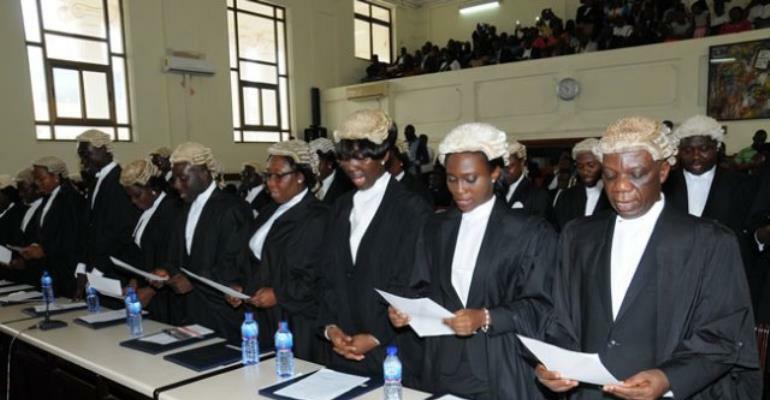 Leader of the Concerned Law Students, Kenn Addor Donkor, has said the mass failure recorded in the final bar exams at the Ghana Law School is a testament to the calls for the abolishment of the entrance examination used in selecting students for admission. For him, the entrance examination has “failed to establish that it is a pristine source of sieving the quality applicants from the ‘chaff'”. Ninety-one students out of a total of 474 students passed this year’s exams to be graduated. 177 have been referred to re-sit one or two failed papers and 206 students are set to repeat the entire course. In a statement, Mr Donkor said: “This result demonstrates that the present curriculum as presently modified has contributed to the deteriorating nature of the supposedly ‘quality' students that are admitted and must be scrapped and the old formulae restored”. or him, “the Bar results as released points to the fact that, the quality of teaching has deteriorated if, we have to abide by the logic of the Ghana Legal Council (GLC) that the entrance exams helps to admit quality applicants”. In addition, he was of the view that “the results lend credence to the proposition of some debaters that, the GLC has crafted these examinations as a cash-cow or conduit of milking both prospective students as well as candidates for the Bar exams”. Mr Donkor explained that it would cost “the 206 students who would have to repeat the programme in excess of GHS5.5million without any guarantee that they will sail through when next they write the Bar exams. The present school fee per year is GHS 13,500.00”. He said “all GLC members must resign” as they have failed the institution. Meanwhile, parliament is seeking to legalise the entrance exams and interview processes introduced by the Ghana School of Law for selecting students to be enrolled by the school. GLC has defended the maintenance of the entrance exams but some concerned students and private legal practitioners as well as law lecturers, are kicking against the examination process.